First day of Sneak Peeks! Let’s walk down memory lane shall we? oh and a chance to win! COMMENTS ARE NOW CLOSED. WINNERS ANNOUNCED BELOW. 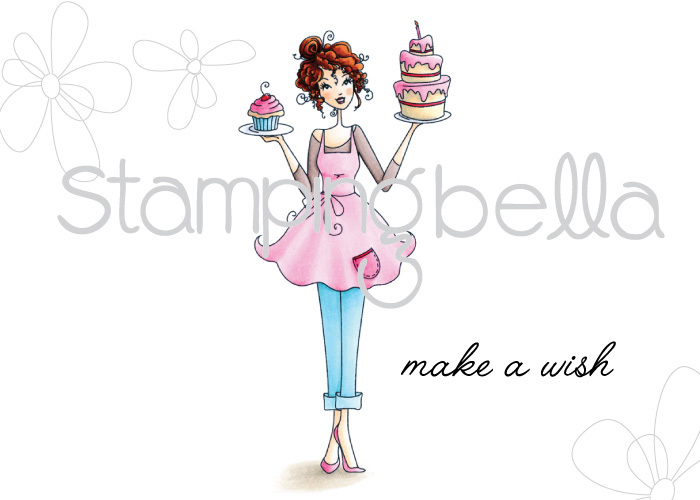 Please email me emily@stampingbella.com with what you won in the SUBJECT LINE and your snail mail address! 14-LYNNE in NI you win! Hiya sistahs! Well I have been waiting for such a long time to have this release. TEN YEARS to be exact. TEN YEARS! 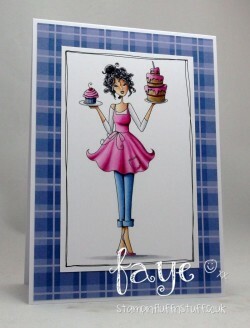 Can you believe it’s been over TEN YEARS since Stamping Bella was born… MOREOVER TEN WHOLE YEARS since BELLA was born. This release is to bring those of you who started this journey with me , back to where we were TEN WHOLE YEARS AGO. I remember launching our line and how da sistahood was born and how, I guess, it must have been the right time and the right place to release some stamps with images of women we can EMPATHIZE with.. LAUGH with.. CRY with.. CELEBRATE with… it was just the right time. We all needed da BELLA at that moment in time. Well, ten years have passed. We have all gotten ten years older (hmph).. we are all at different stages.. celebrating different things.. It’s CRAZY! How does time pass THAT fast? I am afraid I don’t have the answers but I DO remember what was happening in my life 10 years ago… I had Tyler who was 4… and Jayden was 1.. I was chasing after kidlets, trying to balance a successful crazy business.. holding up a household, trying to keep everything together. Working 24 hours a day.. changing diapers, cooking, cleaning LOL… I was YOUNGER.. I was more resilient I find… I feel like I was a bit stronger then.. less sensitive.. I HAD A GRANDMOTHER 10 years ago.. one who I loved so deeply who I have lost since then. I have moved 3 times.. driven different cars.. visited different places… you get the idea… Boy does time FLY. Well this isn’t a post to make us cry. It is a post to CELEBRATE.. to celebrate WHO we are.. WHO we have become.. It is a post to Celebrate ALL of the milestones we have been through in these past 10 years.. to celebrate the things we have achieved. I’m already crying writing this so I am going to stop LOL. This post and this release is to celebrate BELLA. To introduce you to BELLA version 2.0. Just like we have aged and become more refined, so has BELLA. Happy 10 year Anniversary to US. To the Sistahood. To our NEW sistahs.. to our 10 year old sistahs. Bella represents a little bit of all of us. Which Bella are YOU? Now THAT is the question. In case you didn’t start the journey with us 10 years ago, here is the 2006 version of COSMOBELLA.. crazy ay? Here is our Cosmobella V. 2.0.. isn’t she GORGEOUS??? All of these images will come with corresponding “CUT IT OUT” DIES! 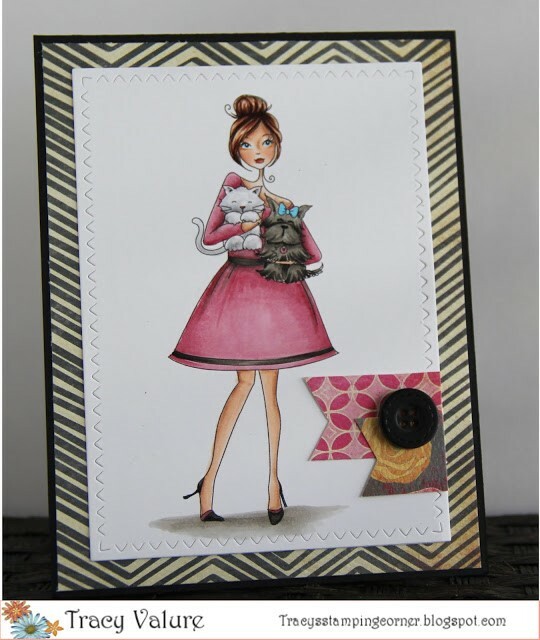 I feel a new collection coming on…..
Wanna chance to win a Stamp and CUT IT OUT DIE set? Leave a comment below and at the end of the sneak peeks we will pick 3 winners for the 3 different sets! Oh and P.S. 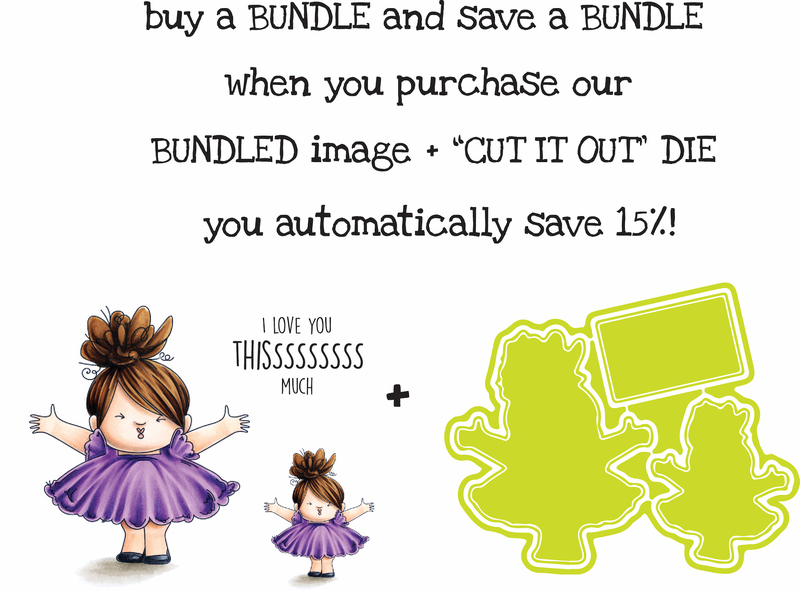 ALL OF THESE IMAGES and CUT IT OUT DIES will be available on JUNE 25th for purchase! Previous Post It’s BELLARIFIC FRIDAY SISTAHS! Next Post Sneak Peek day 2 and a chance to win! These three are a stylish update of the originals and I’m quite taken with them……lovely. I love all of your stamps and these new Bella’s just add to the fabulousness! I’ve been with you the whole 10 years. Wonderful new bellas and I still like the old ones, too. Love the ILOVEMYPETSabella V 2.0 with her little fur babies. Happy anniversary! You’ve come a long way yet have many more miles to go! Congrats on ten years! Release day, June 25th, is my youngest daughter’s birthday. As I scrolled down to Cosmobella V. 2.0, I did a double take. She looks just like my Becca! All of the V. 2.0 Bellas are beautiful, but I will definitely have to have Cosmobella! Oh. My. Gosh. I still have my CosmoBella. But she looks much cuter now. I wanna cry. Wow, ten years!!! Happy Anniversary and Happy Birthday Bella, like a fine wine, you’ve matured with age and my…definitely still a hot sassy sista!! ??? I only found you 2 years ago but I’ve collected quite a few Stamping Bella stamps already and I LOVE the upgraded girls…can’t wait for the release…so excited!! Wow loving the updated versions of Bella. I think I may need to put them all on my wish list ready for payday. I love all of the bella stamps and these are great ! I love the one with the pets especially. The oldies were cute, but I’m lovin the new and improved version! Wow, I love the new stamps, especially I love my pets Bella, that’s me! Omg i’ve got these old stamps! thanks for the flashback, it’s so fun. We all changed just like Bella. Congrats for the 10 years! The first images where great, but the new ones are perfect!! Oh my gosh, I have every “old” stamp and they have always been my favs!! Congrats on 10 years!! Congrats on 10years… may there be many more to come! Love the new images and I’m chuckling….in 50 years will there be senior citizen versions? Your company, your designs, and the quality of your stamps and dies is top-notch. Love the new versions. My favorite is the cakebella but I love the dogs…..ahhhh I love them all. Happy ten years!! Congrats!! Love the updated images! Love your stamps, just a new Sista of about a year, but have enjoyed and laughed and reminisce when seeing your girls. Congrats on your 10 years of hard work, and here’s to 10 more?! Congratulations on 10 years! Love, love, love the new stamps! WOWZA!! I love them all! Congrats on 10 years! How time flies! Have loved all the Uptown Girls and your 2.0 version of Bella’s are perfect! Congrats on 10 years!!! I signed up for the newsletter and the comment got lost. I almost needed a Kleenex. A decade has gone by. Congratulations and Happy Birthday. As cute as the old ones are the new images are Wow and super cute. I really love the look. Everyone did a great job showcasing them. You da man…………Um, you da Sistah! Surviving 10 years in this business is a feat in itself but to last that long and get better with each have passing year is testament to creativity, talent and superb business sense. Congrats and I hope your success lasts another 10 years and many more. I also love the ‘new’ bellas! Wow what an update, love them. Love the new Bellas – happy 10th anniversary! Congratulations on 10 years! Whoa! Love the updated Bella’s!! Love the bellas! Happy anniversary! Love the new look to the bellas! I still have and still use many of the originals! I think I have most of them. How fun to update and really? 10 years already? Where did that time go? I love that you have the dies now as well. Back then no one would ever have thought to have a die! Happy anniversary to you and your success. Can’t wait to see what you do in another 10 years! Oh…. this post made me well up. Ten years ago, I was just finishing up high school, it was probably the worst year of my life having just lost my best friend to terrorism, and the last ten years have been a journey of trying, trying, always trying to heal and to move on! Hence why I started making cards, mental healthcare here is poor, so I had to invent my own therapy! 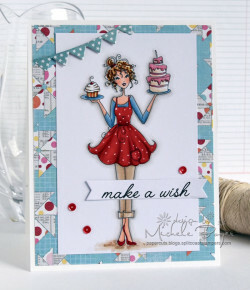 And cardmaking was it really. Keeps me going! Congrats on your ten year anniversary, may there be many more years to come! I love your images so much (having discovered them about 4 years ago now) they’re just great! I love the new images, they’re perfect updated versions of their previous selves – I can’t wait to purchase and colour some of these beauties! Congratulations! Love the new Bellas!!! I have many of the older stamps, but I love the new updatwd look. The way you have grown is so inspiring. Can’t wait to see them all. Happy Days, I see I’m going to be adding to My collection! I wasn’t in the original fan club but I got here as fast as I could!!!! Congratulations on 10 glorious years!! This is awesome. I love the new Bellas so much ? Congrats on your 10 years. I´m a big Fan of your stamps. Hi Em! Huge congrats on your ten year anniversary….or Bella-versary!! What a great accomplishment and a wonderful example to your kids. I love all your stamps and especially all the stories behind them. You are right, we have all grown, changed, faced challenges, and hopefully amazed ourselves in the last 10 years. I hope you have your own cake celebration today! Ten years….don’t they go by in a blink! Lovely updates on your originals. Happy Anniversary! I love these! Congrats on 10 years of fun and creativity! So glad you are still going! I love all of your stamps and these new Bella’s are just sooooo cute. !0 years… awesome1 I so love “ILOVEMTPETS” V2!!!! Thanks for a chance to win. Wowza! I hope that I age that beautifully! Great job with the new release – Congrats on your 10 year anniversary! I admit I’m a bit obsessed with the Bella’s and have been there since the beginning. I am SO excited about the new release and am going to have to start saving my pennies now, as I know I’m going to have to have them ALL!!!! Great job! Omygosh! The old Bella’s are so retro! I love them! But for modern days I will get the new ones!!!! Happy Anniversary!! I am IN LOVE with these new Bellas! I still have all my old ones and dust them off every once in a while to get them inky. Love the new Bellas!! Cant wait! How exciting! Congrats on 10 years! Love seeing the different versions of the Bellas…. so fun! Happy Anniversary!! I still have my original Bella’s so it will be fun to add new ones to my collection! Great job from your design team!! I LOVE STAMPING BELLA! Oh what was I doing 10 years ago…I was finishing a 36 year career, getting divorced and moving. Today is a great new day and I love the refined new stamps…something like the refined new me. Lol Thanks Emily! Love Bella 2.0! 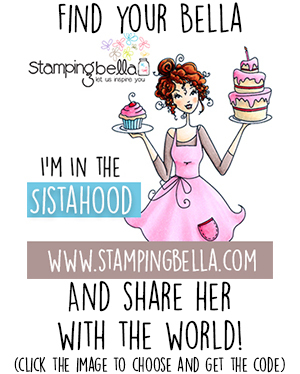 I adore all of your stamps, and have more Stamping Bella stamps than any other. Love Bella 2.0! I adore all of your stamps! Can’t wait for this release! did not see the others, but love these, keep it up. Congratulations on 10 years! I came late to the party so I only have a few Bellas and I love them. The new updated versions are great!! And now, I’m loving her updated self…fits perfect for us all! Thank you and I am looking forward to s?Ing what’s to come!?? Congrats on 10 years! What an accomplishment! I have to say I can’t wait to get I love my pets Bella! I’m a vet tech and she will be a perfect addition for my planner! Thanks for all you do! Congratulations on 10 years! I have LOVED the Bellas, and am SO excited for the new, more refined Bellas! Looking forward to what you are going to be up to next!! Omg! 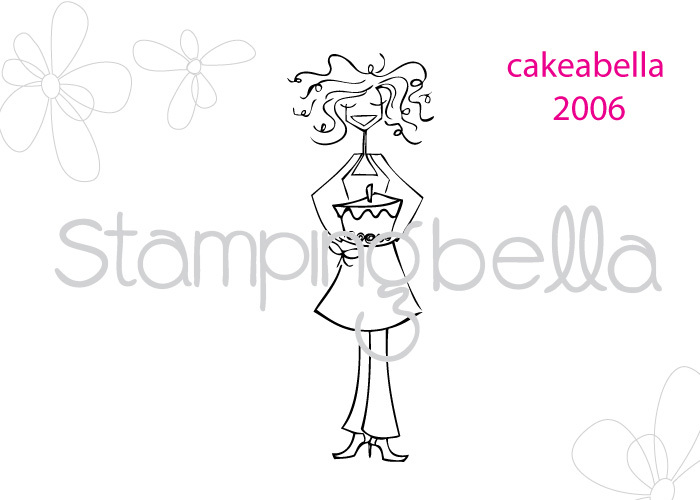 I loved(and still love) the originals, in fact cakeabella was my very first stamping bella stamp but these 2.0 versions are gorgeous and so very stylish! I’m drooling! Wow the Bellas were the reason I became obsessed with rubber stamping I AM SO EXCITED about the new Bellas 2.0!!!!!! Wow Wow Wow! I LOVE them. Absolutely AWESOME I can’t wait to add them to my collection. I love the Bella 2.0. She’s more realistic. But I remember all the feelings I got when I saw the perfect Bella for what I was feeling, doing, wishing at the time you released Bella 1.0 and part of me say no, don’t mess with a classic, but if i’m being truthful I really like 2.0 better. Mixed feelings here. I love Bella’s new look! She has real arms! such a lovely face! I can’t wait to see the rest of this release! Fabulous-ness! Cosmobella 2.0 is the best thing ever. Quick I need to mix up a pomegranate martini and get me that stamp. 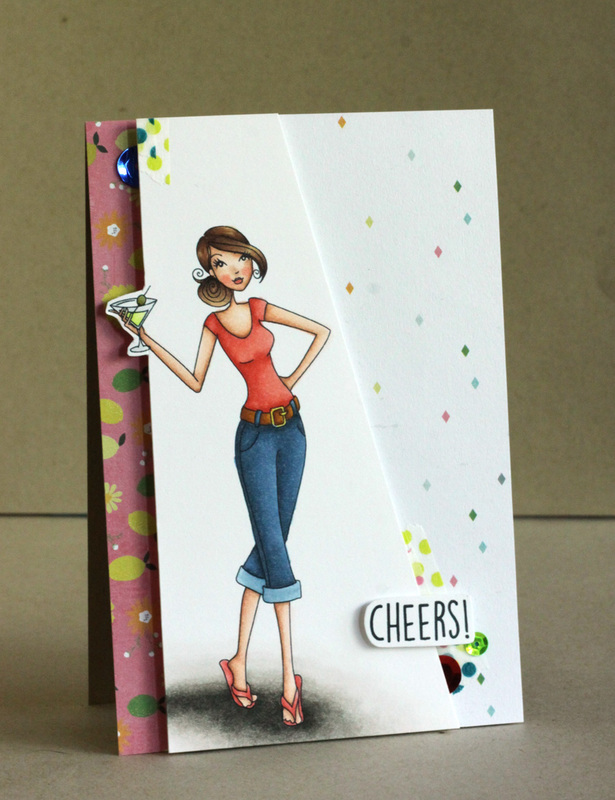 If you pick me to win a stamp I promise to share my martini recipe! I think that they are absolutely beautiful….and with dies!!! Does it getter any better than that? Congratulations on 10 years and best wishes for the next 10! OMG! Ten years! And I just discovered your beautiful, wonderful stamps this year! I must have been under a rock because I’ve been a stamper for over 20 years! I commend you on your beautiful stamps! And rockin’ such a great business all the time while taking care of your family! That is very hard! I know I have been trying to make money through crafts for most of that past 20 years. I even opened a retail scrapbook store for a year. Lots and lots of work! I am totally addicted to your stamps and can’t wait to own them all – even as you are consistently adding. I will just have to enlarge my craft room! Wow! Time just zips by!!! Happy 10 year anniversary! The new updated Bella’s is fantastic!!! Em… congrats on 10yrs! Wow, remember when Paula, Linda and I came to visit your store back just shortly after you opened. OMG it just seems like yesterday. What a fun day that was. I have all my original ‘bella’s, and so good to see you releasing bella 2.0 -love, love, love them! Can’t wait to see the whole release. Again, CONGRATS!! Mwah!! These are stunning! Just the right touch of refinement and yet they still have the stampingbella signature look. What a great way to celebrate 10 years of history and accomplishments. Congrats! That was a fun walk! I’m so excited to have my sistahs’ twins!!! I love how the Bella’s have evolved! Looks like I’ll be starting a new collection! Congrats on your 10 years! I’ve been with you for about 5 1/2 years now! I have enjoyed every post, video and new stamp releases that you have done! 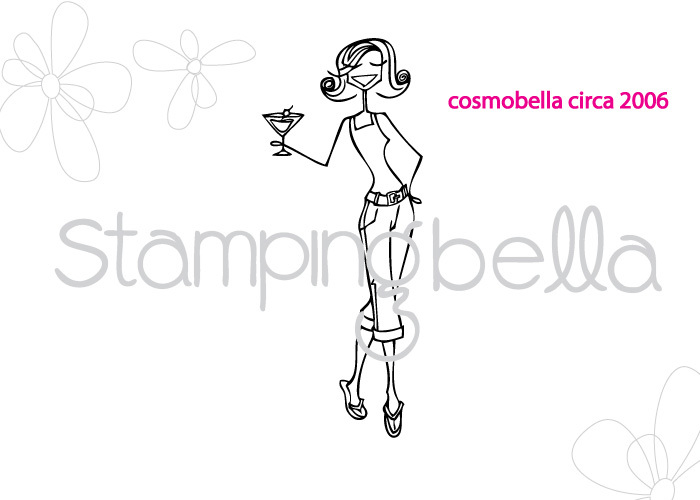 And now there is a stamp that is truly me- COSMOBELLA! All the way from the cosmos to the blue jeans, and the flip flops!! I love it!!! Life is good! 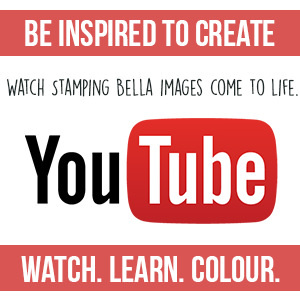 I haven’t been with you the whole ten years – just 4 or 5 – but looove Stamping Bella images. They are unique and cute and expressive. Here’s to 10 more years – and beyond! Wow! A decade of Bella! Congrats! I am the cakabella–I’d be the petabella but I’m allergic to cats (LOL)! Maybe do a dogabella (with a bigger dog) and a catabella (with many cats because I don’t know too many people who have only one). Love these Bellas! Let’s see more! Oh my! I can’t believe that 10 years have flown by! I love Bella 2.0s!! Omg, I am in love already!!!!!!!!!! LOVING these Bella 2.0 stamps, they’re so beautifully drawn and brought to life fabulously by the talented dt!! Wow love them, they’re so georgeous ! Congrats on your 10 years ! I fell in love with the old Bella’s on sight. And I’m falling in love with the new ones all over! I can’t wait to get some of these beautiful Bella’s! Love the 3 new Bella’s. I can’t wait to see the remaining. Fantastic job. It is amazing how time has flown. Still have Bella’s from 10 years ago and more current. 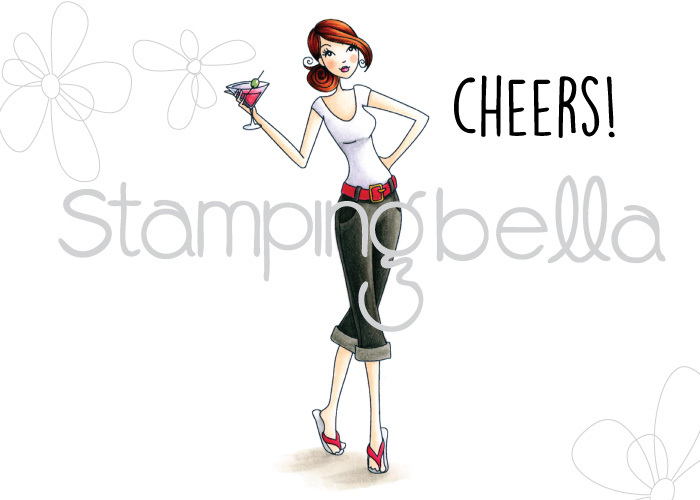 I’ve enjoyed the changes and am thrilled to wish StampingBella a happy anniversary. I’m looking forward to another ten years as well but will celebrate the here and now! Well done!!!!! Wow! What an amazing transformation you gave them. They are totally different from the current Stamping Bella style,but still absolutely gorgeous! I LOVE the new Bella’s! So much prettier and more fun to color. Beautiful!!! Congratulations for these last 10 years! bellas looks even better! Congratulations on a very successful 10 years! I’m not sure when I learned about Stamping Bella, but it’s been awhile. I’ve loved seeing the progression to today. Thanks so much for sharing your talents with us! It gives me such joy creating with your wonderful images. Congratulations on a very successful 10 years! Oh-la-la these new Bellas are gorgeous. Can’t wait to see what else you have for us. I have the originals!! I love the new ones! How fun! Wow, these really are a great update. I have a ton of the original Bellas, I still love them! But these new ones really are beautiful! Congratulations on the anniversary! I still remember when you were just getting started! Congratulations on your first decade and cheers to many more! Oh my goodness…….. thank you for that walk down memory lane……. I have been with you over the 10 years, and have some of the original Bella’s too! Lovely to see them updated and looking forward to seeing other’s to come! Congratulations on 10 years! I’m looking forward to seeing the new stamps coming out! Congratulations on 10 years! I can’t wait to see the new stamps coming out! These are all darling and look like so much fun to color!!!! Its amazing how far you have come. Enjoy your colorful journey. 10 years, how time flies, can’t wait to wish you happy 20! These 3 are close to being my favorites. Love them!! Whichever Bella it is, she’s always welcome at my house! I wasn’t there at the beginning, but I have loved her since I found her. Keep up the good work! OMG! Had it really been 10yrs Em? Congrats and congrats on the new Bella’s, love them. Hope you are rockin’ it just like the Bella’s. What a great thing to see both the old and new. Each has their unique qualities. How fun! I’m so excited for the new and upcoming stamps with dies. Happy Birthday and CONGRATS!! to you for all your hard work. I LOVE THE BELLAS. Congrats on 10 yrs !! I love the Bellas !!!! I have over 2 dozen & keep adding….I get so many compliments on my cards because of them….I’d love to win a set ! Congratulations on your successful first decade! Love the ne sneak peeks and can’t wait to see more! Love, love LOVE the new Bellas! Congrats on the anniversary and thanks for such fun Bellas! I love Bella 1.0 and have almost every one of them (including the Fellas) but Bella 2.0 is making me ridiculously happy. I really can’t wait to see the rest of this release and what the future holds for my Bella collection. Congrats too on your 10 year anniversary!!! I love these Bellas!!! I can’t wait to see them all!! Wow, 10 years! That’s fantastic!! Congratulations!!! I love all of your stamps no matter which version 🙂 Thank you for the chance to win. 10 Years! 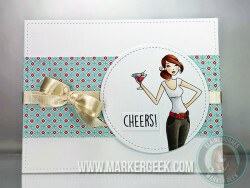 Wow congratulations and these new Bella’s are fabulous especially when they come with a matching die. Thanks for the chance to win. Love them all, but i think number 2 it’s like my mom making cakes!! Would like to win any of the, but the second one ??? Congratulations on 10 years of sisterhood!! Fabulous new updated look on the new Bellas! I have the paper doll Quick Kutz Bella! She might be 10 years old! Loved Loved the cat/dog update – darling. I have many of the bellas – especially all to do with wine. These are absolutely adorable and would love to be a winner. LOVE the new bellas!!! Have some of those “old” bellas in my collection! Love the new stamps! Can’t wait until they are available. WOW! These are incredible and beautiful! Congrats on 10 years…what a journey, huh? That CosmoBella is just…everything! Love! Love! Love! I love the new girls and I can see myself and others in your stamps. Thanks for all your inspiration. Love the new images! Can’t wait for the release!! Congrats!!! And the new Bellas are fab! Great new images. 10 years – wow! time does fly by. OMGosh this is so great that you are revamping a 2.0 version, I love the new versions as much as I love the ten years ago version. The DT samples are fabulous. Yes, I see a whole new line coming…. 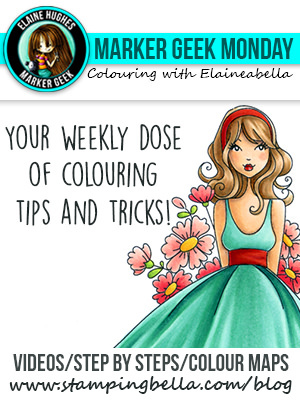 I am so excited for this new release … I have many of the original Bellas and still use them! So looking forward to seeing more! Wow! Loving these V 2.0 Bellas! They’re gorgeous! Love these v 2.0 Bellas & with dies why not? 10 years and they keep getting better and better. Love bellas. Congratulations! Congratulations on 10 years! I loved the original Bellas (still have mine!) and the updated versions are fabulous, too! They look great! Can’t wait to see more! Wow! 10 whole years and what a fun new take on these! LOVE the details and the faces! So excited to see more! Love the new Bellas! Congrats on your 10th anniversary, Em! We met once at the Creativ Festival in Toronto – long ago when your store was still located at the Northtown Plaza. You introduced me to the joys of colour blending with pencil crayons and odourless mineral spirits. Does that bring back memories? Wow! Ten years already. I love the new more up to date version but also still love the originals as they are whimsical. I can’t pick a favorite though I do love love love cake. lol. I can’t believe it’s been 10 years! Love the older Bellas and the new ones too! Awesome! Wow! It’s hard to believe that it’s been 10 years. Time does fly. I had to go and count how many Bellas I have because I know it’s a lot! Drum roll… 57!! That’s not to mention the Chichiboulies, Kettos, Uptown Girls, and many other images that I’ve bought from Stamping Bella over the years. I love all that you to and am happy to have been able to be one of your customers. Here’s to the next 10 years!! Mwah! Wow, so cool, how can it be 10 years? Love the 2.0 versions, but also love the originals!! Happy Anniversary!!! Over the new Bella’s, especially the pets one! What a genius idea to update the Bellas! I love Cakeabella….a definite must have for me! Love the updated versions of the Bellas! Can’t wait to see all the new ones, and if hippybella made the cut! I love your stamps and dies but I’m not good at stamping or coloring. You have any new digis coming out soon? I am celebrating ten wonderful years with you!! New collection well worth the wait…here’s to ten more!! First of all, congratulations on Stamping Bella turning 10 years old! 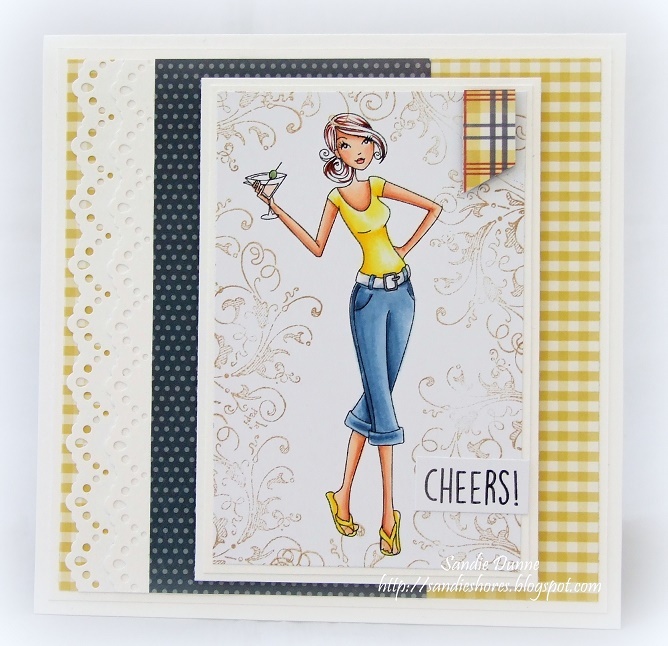 I knew I had been stamping with the Bella stamps for a while, but I didn’t realize it had been a decade. Did I feel Something was out in the universe before it got announced? 😉 Anyway, the Bellas might have aged 10 years, but I still love them as much now as I did then, and you’re making me want to reink them all again! Looking forward to seeing new peeks all week! I came on to the SB scene late in the game so I missed out on the true “Bella” craze. So thrilled to see the face-lifted line back for an encore! Can’t wait to add one of these to my “Bella Box”! Congrats on over a decade of success ! Wow, I can’t believe it’s been 20 years…Congratulations!!! I am so glad da Bellas are back! A few months ago I mentioned to my stamping group that da Bellas were no more; I am loving what I have seen so far! I still love my original Bellas though; I have most of them. ? (And let’s not forget Stella…love her too! ?) I can’t wait to see more and start playing your challenges again! A lot has happened this past 10 years..:my kids have grown up! They were 6 and 7; last month my daughter graduated from H.S. and yesterday my son got his driver’s license. Both big life events! Wonderful for sure, but a bit sad for me too…. Wauuu.These new images are wonderful .I am in love with IlovemypetSabella!!! Just Beautiful new stamp. Fantastic Bella v2.0 idea! I’ve always loved the original Bella’s, but I think I might love the v.2.0s more. So cute. Need them all! wow! what a road down to memory lane! it is just awesome to read and see how much everything is changed, yet bellas are still here! <3 Congrats on a huge milestone, i wish you and bellas ten times as much! I absolutely love the revamping of the older stamps. Can’t wait to get my hands on these. These are so well done and as always the samples make me want to sit down now with those stamps. 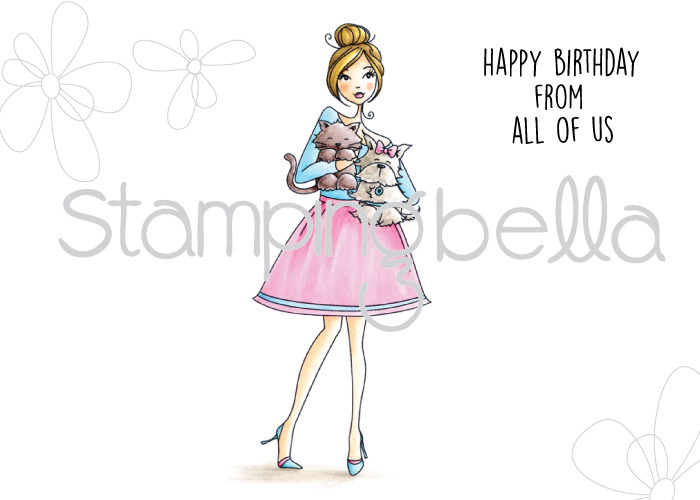 My daughter and her crowd will love cosmobella cards so I definitely need that one ! There was/IS just something magnetic about the simplicity and personality of the 10 year old Bella’s. I adore them and I always will, with their stick arms and HUGE smiles and eyes! The new 2.0 versions are like loving a whole new fresh Bella, each in her own way. These are so beautiful. I love my Bella stamps so much I didn’t think I could love new ones as much but I so totally do!! So happy these are coming back and the re-designs are fantastic! Love the 2.0! So sophisticated and perfect for so many of my sisterhood. I am a new fan 🙂 Congrats on the 10 years!!! Love all the version 2.0 bellas – so Gorgeous and fun. Looking forward to the release. Love the Cakeabella! These designs are fabulous! Love the new face of it, and I mean it quite literally 🙂 Congrats! Breaking the piggy bank in 3, 2, 1… 😀 I want them all!! Oh my goodness! I love seeing the amazing comparisons from now and 2006! Your stamps are my very favorite because I love to color and yours are so fun to color!!!!!! Absolutely love the 2.0 Stamping Bella version! wow, great stamps and amazing inspirations! Loving the revamped Bella’s. I still have some of the original Bella’s but will have to add the 2.0 versions to my collection. Congrats on the 10 year anniversary. I’m gonna’ have to have them all! I haven’t seen the rest and I know I’m gonna’ want them, too! 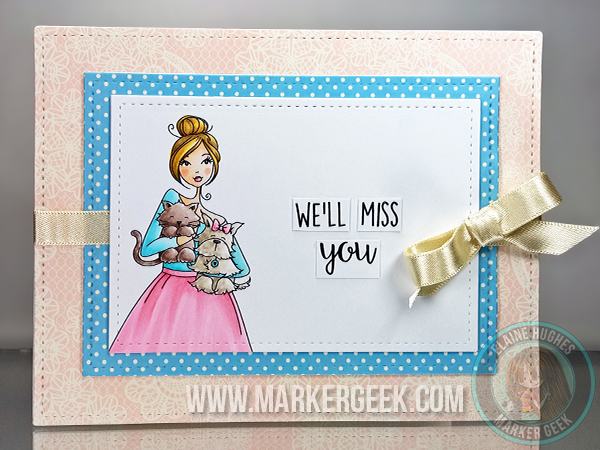 I still use my stamping bellas all the time for cards and can’t wait for these, especially the new dog stamp!! Happy Anniversary Bellas!! And I’m loving the updated stamps. What a fabulous idea to revamp the older models with more modern looks. Such a great concept. Loving all these already. Thanks so much! Happy ten years. So special. I am fairly new to your stamp line, but I’m really impressed with all of the beautiful stamps. I think your new look is just incredible, she is so lovely. Thanks for your generous giveaway. Wow, these are great make overs. Thanks. These images are just amazing!! I remember when I first got into card making I just went crazy with buying tons of these. I must have had 40-50 of them!! LOL! I even had a special tin made up just to store them. The upgrades look incredible and what a great idea!! Can’t wait to check out more! Congrats!! Hugs!! Oh my goodness! I love, love, LOVE the Version 2.0 stamps!!! I can’t WAIT to see the rest of the new releases! I love, love, love, love all the cards that everyone created! 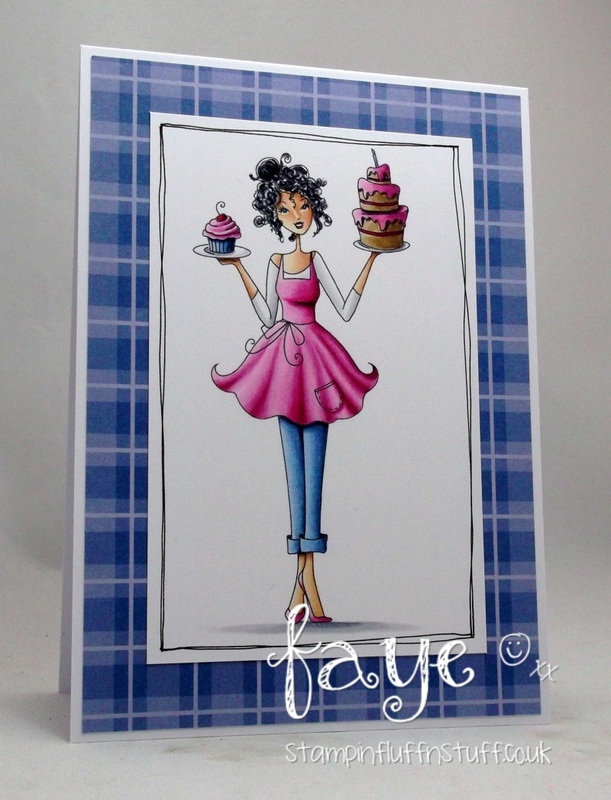 Your Bella’s are so talented when they create cards. I didn’t say that with the last post. I wish I had some of the old stamps so I could compare with ones I have now. I love the IlovemypetsaBella but I can’t use the sentiment. Darn it! I love to bake so Cakeabella would be great for me. I can see my credit card and my stamp collection getting bigger! Congrats on 10 years. love the new look!! Hearty congrats on the 10 years! What an amazing journey! Love the new and modern Bellas — they are so today. Love their sass! I can’t wait to play with these stamps!!! Oh my goodness I’m literally weak at the knees these are so beautiful!!! What an amazing update on the oldies! And they called it Bella love. (Sung to the tune “puppy love”). Congratulations on 10 years! 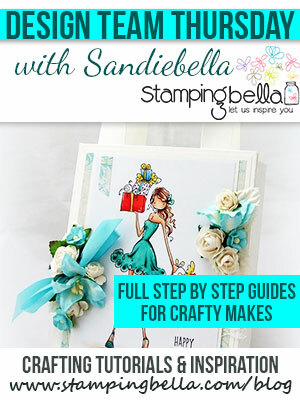 I’m fairly new to Stampingbella and have fallen for your adorable Bellas. OMG, these are wonderful…I can’t wait togged some of the new Bella’s….love them all so far! Love the old and new! The updates are great and can not wait to get my hands on some of them. I can’t wait until payday. These are adorable. I’m so “EXCITED!” can’t wait until these are available. I didn’t get a chance to experience the old stamps; however I’m looking forward to Bella 2.0. I’m very happy for you and your creation (s). Have an awesome day. Do you think in the future that you will incorporate a Grandma Bella? It would be wonderful to have. In my opinion “Just a thought.” Thanks for the listening ear. I can’t believe its been 10 years since I became addicted to the Bella’s and the evolution has been amazing! WOW!! just amazing—10yearss!! HAPPY BIRTHDAY TO YOU!!!! I just love the new releases!!!! Thank you. 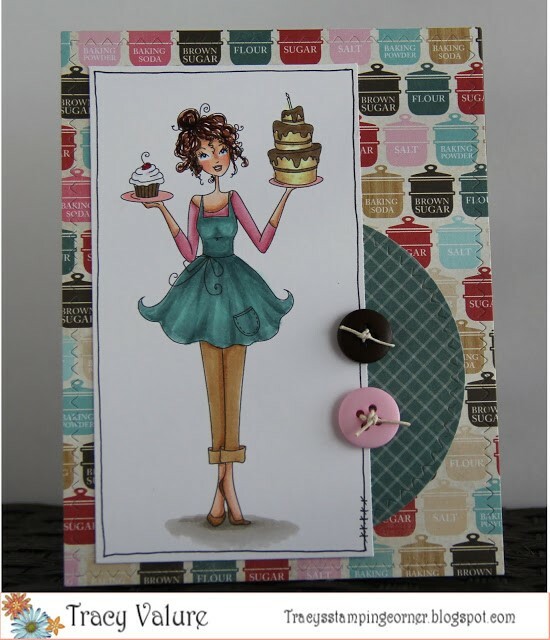 I been using Bella stamps abut 3 years now, and this past relapse I got several new ones during that sale. I just LOVE THEM!!! Thank you!!!!! Very creative and wonderful samples. I LOVEEEE THE NEWS BELLA’S!!! I love all these new releases. I still love the old ones, too. Any chance the old ones would go digital? Congrats on 10 years! I’m loving the new designs. Love the latest version of the Bellas! Still using my old ones to create often!! Your stamps are so unique and fun. I LOVE the Cakeabella!!! 10 years!!! SO impressive! Congrats!! !